Rihanna, born as Robyn Rihanna Fenty, is the style diva, actress and singing sensation who has taken the world by storm. Since the phenomenal success of her debut album in 2005, there was no looking back for Rihanna. She emerged as a fiery and bold icon, idolized by girls across the globe. This Barbadian beauty is known for making radical shifts in her look and style rapidly, and with ease. 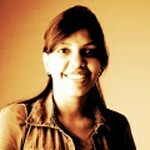 Her wardrobe, makeup and overall appearance are replicated by youth throughout the world. 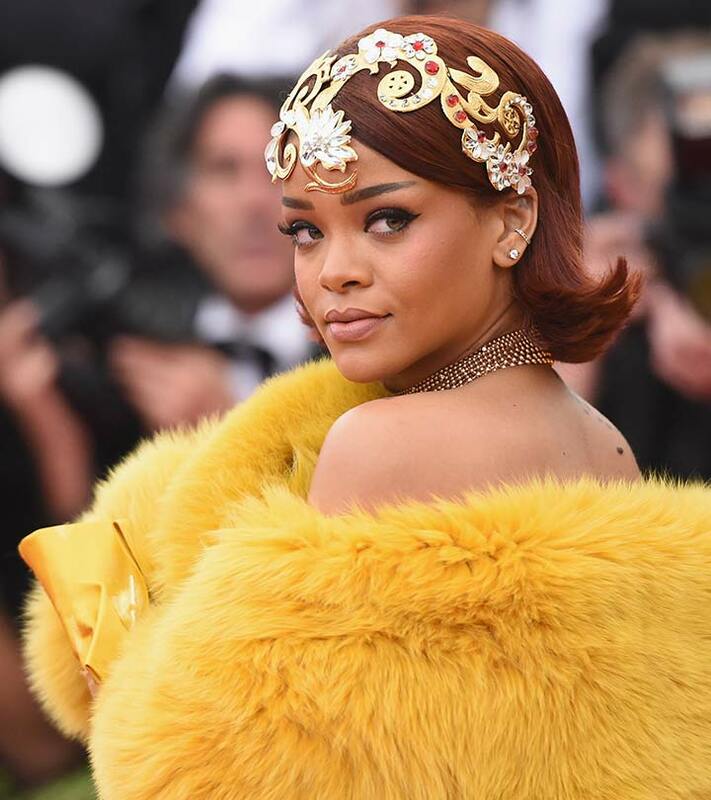 With her mesmerizing voice, unbeatable style, enviable personality and stunning beauty, Rihanna rules the hearts of many and is hailed as one of the most influential and charismatic personalities in the world. 1. Water consumption – Drinking lots of water and sugar-free drinks hydrate and detoxify the skin and body. It helps Rihanna maintain her healthy and glowing skin. 2. Healthy eating habits – The singer consumes a healthy and balanced diet which helps her stay beautiful and fit. She refrains from eating unhealthy, junk and spicy food. 3. Disciplined life – Rihanna leads a regulated, disciplined and systematic life, and does not compromise on her workout schedule and diet program even when she is touring. Her focused approach, hard work and diligence have helped her attain professional success and also aided in making her one of the most powerful and beautiful women in the world. 4. Hair dos – The style icon is known to experiment with various hairstyles, ranging from sober to radical ones. She has tried a variety of hair colors to reincarnate her looks; this has made her seem trendy, fresh and stunning always. 1. Bold and beautiful – Rihanna is a fashion icon and a trendsetter. When it comes to makeup, this diva likes to experiment with her looks, ranging from colorful, vibrant and radical ones to neutral and basic no makeup looks. Smokey and highlighted eyes, perfect lip color, an even-toned complexion, bronzed and flawless skin makes her look stunning and glamorous. 2. Perfect skin – The singer believes that glowing, flawless and even toned skin is a pre-requisite for achieving that perfect look on application of makeup. Thus, she cleanses, tones and moisturizes her skin regularly to keep it clean, hydrated and youthful. She also uses light, vitamin and mineral-enriched foundations, concealers, primers etc to even out the imperfections on the skin while making it look flawless and radiant. Per-fekt beauty products are Rihanna’s choice for the purpose. 1. Workouts – This diva works out for 25 minutes a day for 3 days a week when she is traveling. She increases the workout time to 30 minutes and the frequency to 5 days a week once she settles in a location. Her focus and diligence have helped her to attain and maintain that svelte body. 2. Cardio routine – Biking, cycling, rope jumping, jumping jacks and stationary jogging constitute her regular extensive cardio workout program. These help her burn calories effectively, cut down unwanted flab, stay toned and in shape. She also likes working on a cross trainer and treadmills during her holidays. 3. Diet plan – Rihanna eats 5 small meals a day which have 5 specific criteria to help complement her workout routine. However, the dietary plan does allow 5 cheats per weeks! 1. 5 Factor diet – The singer is known to follow the effective 5 factor diet given by her trainer, Harley Pasternak. This wonder diet lets her intake a combination of 5 components, namely carbohydrates, proteins, fibers, fats and sugar free drinks that are rightly incorporated into 5 small meals a day. 5 cheats are also allowed per week which means that she can eat anything she likes 5 times without bothering about the calories. 2. 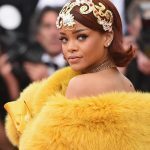 Balanced diet – Although Rihanna hates eating vegetables, she sometimes has to consume them all day long to eat healthy and rightly balance her diet. This is essential for staying healthy, in shape and energetic. Now that you are aware of the Rihanna beauty tips, makeup, diet and fitness secrets, why not to follow them for a healthy lifestyle? Feel free share your feedback with us!